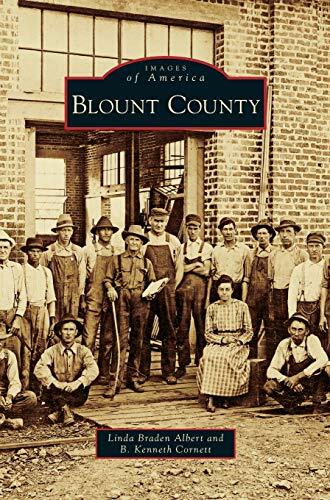 Synopsis: Blount County is the 10th county formed in the state of Tennessee. It was carved out of Knox County in 1795 and named for William Blount, the governor of the Territory South of the River Ohio. Maryville is the county seat and was named for Blount's wife, Mary Grainger Blount. The abundance of natural resources that once drew hardy settlers now attracts tourists from all over the world, especially to Cades Cove, a pioneer settlement in the Blount County section of Great Smoky Mountains National Park. Blount County has been home to the legendary Sam Houston; U.S. Senator Lamar Alexander, who also served as Tennessee's governor; and Bessie Harvey, a world-renowned folk artist. About the Author&colon; Linda Braden Albert, a Blount County native, is a section editor and columnist at the Daily Times in Maryville. In 2005, she received the History in the Media Award from the East Tennessee Historical Society for columns and features written on the county s history. B. Kenneth Cornett is affiliated with many historical preservation groups, including the Blount County Genealogical and Historical Society and the Blount County Historical Museum. He has won several awards for his preservation efforts from the East Tennessee Historical Society, the Tennessee Historical Commission, and the Daughters of the American Revolution.